Blizzard Entertainment has released a ton of information for their newest expansion for World of Warcraft: Legion today, and as a result here is a roundup of the most prominent news that resulted from the panel. The cinematic features the Alliance and Horde beginning to fight in the initial Burning Legion invasion of Azeroth that kick-starts the overall expansion. The theme of learning to trust other races seems as though it will be a big feature in the expansion. This invasion culminates in-game with a 40-player scenario, (20 per side) as they work together to both establish a beachhead and the primary plot points for the expansion as they work towards their initial objective – the Tomb of Sargeras. One of the primary plot points for the expansion is that the Demon Hunters, WoW’s new hero class, are back with Illidan Stormrage himself, returning from the dead after several expansions. According to Chris Metzen, the character is ‘pissed’ at pretty much everybody, but he is determined to defend his homeworld of Azeroth along with his fellow Demon Hunters. The player starts as a Demon Hunter at level 98, with the initial starting zone going from 98-100. 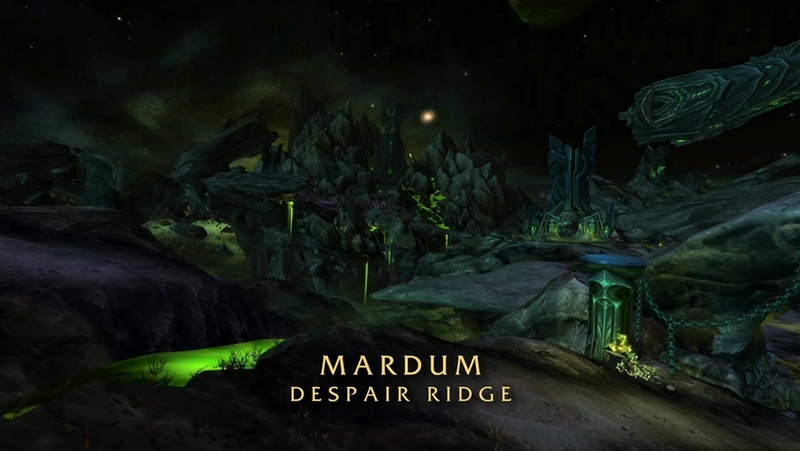 During the first half of this experience (which takes place during the Burning Crusade expansion), players will go to Mardum, an ‘alien’ world that was used as a prison for demons before Sargeras turned evil. 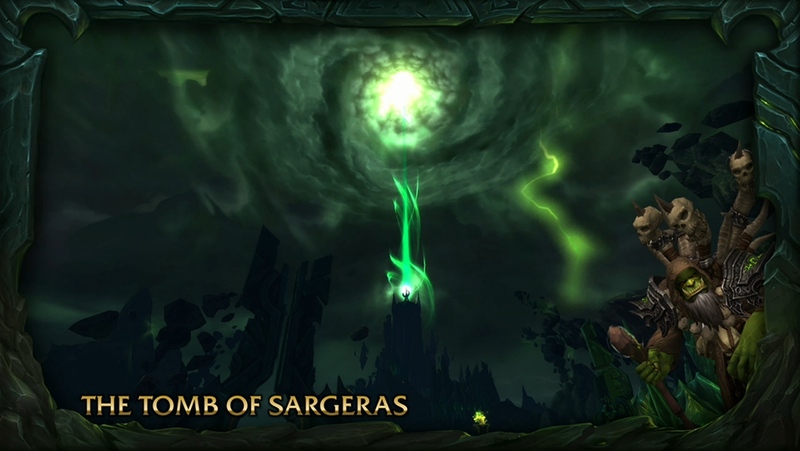 The purpose of this is that Illidan is searching for a keystone that was used to seal the world before it was shattered with Sargeras’s turning. After this objective is more or less completed you are captured by and placed within a prison, with the second half of the Demon Hunter starting experience being a breakout where players try to desperately save the world before it is too late. These events take place in the present day, and the Legion has begun their invasion. This portion, the Vault of the Wardens, will be available to play after the beta is launched. After this intro, the player has the option to then choose which faction they will ally themselves with, (like the Pandaren) but Blizzard stresses that they will still be Illidari first and foremost. 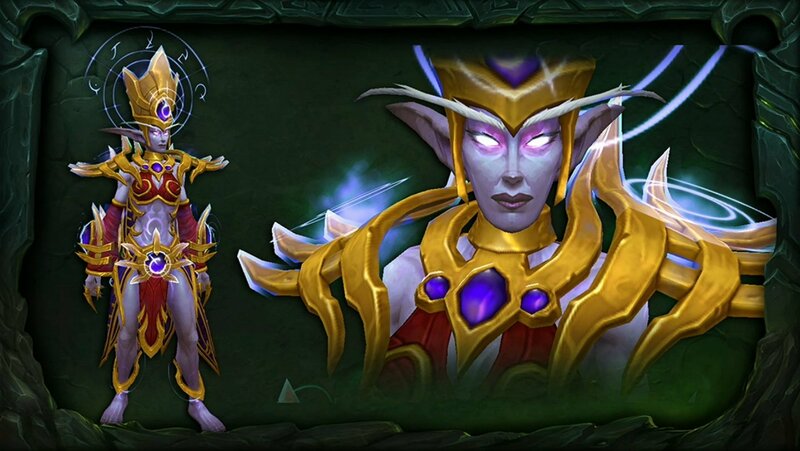 This includes the class order house that will be on Mardum, and the exclusive class-only felreaver mount that Illidan gives Demon Hunters, along with the artifact warglaives (with multiple skins) that players will gradually quest for. 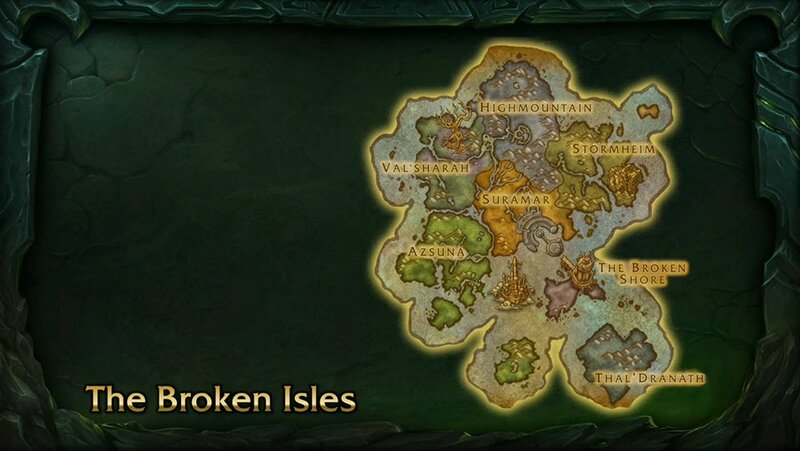 The panel then shifted gears to the new continent featured in Legion, The Broken Isles. Lore-wise, it looks as though Gul’Dan is the main antagonist initially, with players focusing on recovering Titan relics called the Pillars of Creation that will allow them to stop the Burning Legion’s invasion before it hopefully truly begins. A lot of improvements are being pushed out for this expansion, with one of the more exciting additions being the scalable leveling that be found throughout four of the zones. Essentially, players will be able to level however they wish, with the world around them scaled down to fit their own leveling path. Blizzard’s focus was that they wanted players to “carve their own path and defeat the Burning Legion. This design philosophy of player choice is brought forward as well in the End Game, (when players reach level 100). Overall, Blizzard wants the best of both worlds for Legion’s endgame (which is supposedly a combination of Mists of Pandaria and Warlords of Draenor’s dailies). They also want not only player agency with free-form gameplay, but an overall sense of purpose for the players so that it can be used as a vehicle for storytelling. The endgame is designed so that players do not feel like they are forced to login everyday, and that they are the ones doing the quests, not their followers. They want players to be ‘overwhelmed’ with potential objectives. These quests include Reputation-specific objectives, PVP objectives, World Raid bosses, Profession missions, and Mini-Games. Blizzard wants the mini-games to be similar to things such as Gnomebliteration or Roll Club. Another new feature is the revamp of their challenge mode, called Legion Challenge Mode. It’s primary aim will be to keep the dungeons fresh and continually challenge players, with Blizzard promising “… the higher you go, the better rewards.” Blizzard states that they wanted to focus on combat gameplay for the challenge mode, and not just having players rushing through the instance. A definite level of strategy is warranted, with the promise being that something will cause players to eventually ‘break’, and that they wanted a ladder that would have players continually climbing it. It can be used as an alternative path into raiding if one wanted to, with new ‘modifiers’ (that change the way the dungeon is played) every week. As can be expected for the expansion, there a lot of smaller updates as well, such as updated Naga models, Druid forms (Boomkin and Sea Lion,) and Harpy models. There are ten dungeons in total for the expansion – five leveling dungeons and five max-level dungeons. 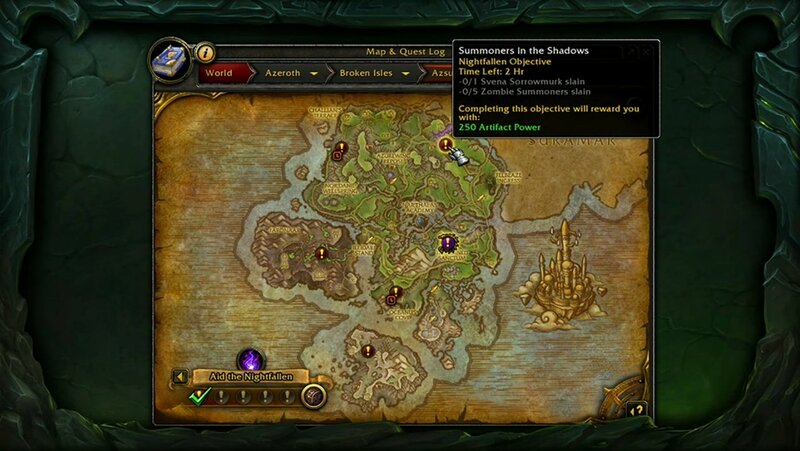 The five leveling dungeons are Eye of Azshara, Neltharion’s Lair, Halls of Valor, Darkheart Thicket, and Violet Hold. Blizzard is doing their best to integrate these dungeons with the storyline, but players can also play them in any order regardless of level. 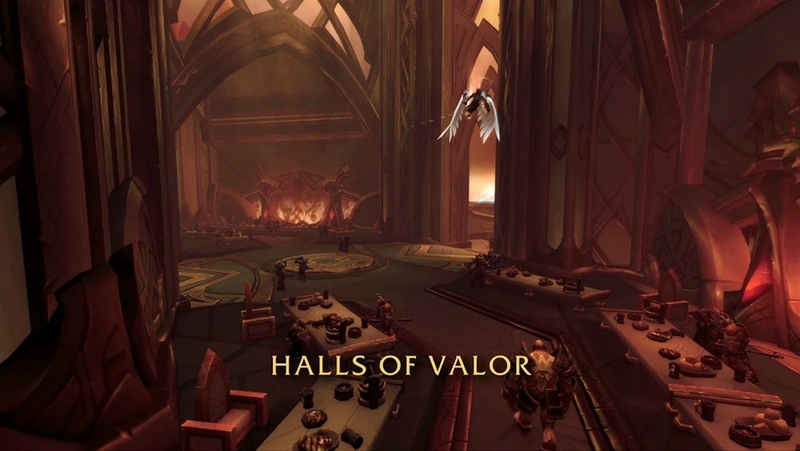 Only a few dungeons were covered in any great detail, but the Halls of Valor takes place in Stormheim, with the dungeon itself inspired by Valhalla. The dungeon has both players and the Legion struggling to prove their worth to Odyn, and eventually claim the Aegis of Agrammar. Darkheart Thicket takes place at the foot of the corrupted World Tree, with players rescuing an ally who is trapped within the Emerald Nightmare. 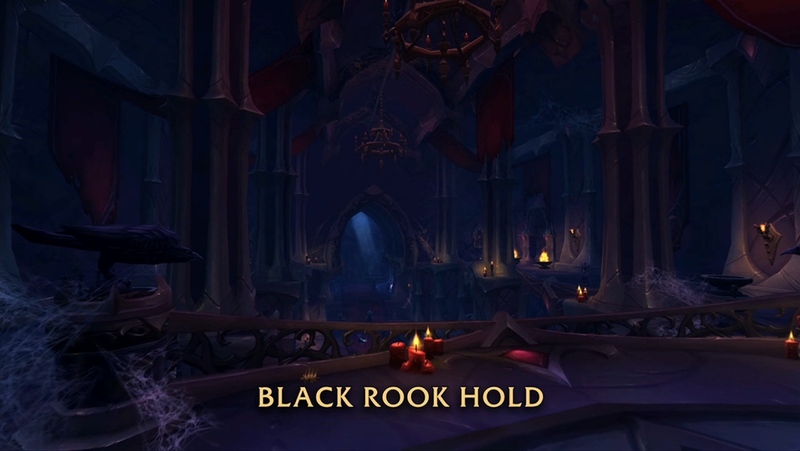 The five max-level dungeons are Vault of the Wardens, Black Rook Hold, Helheim, Suramar Noble District, and Suramar Catacombs. The Vault of the Wardens has players racing to discover why Gul’dan wanted Illidan Stormrage in the first place, while Black Rook Hold has players investigating the Ancient Elven stronghold, where players eventually confront Lord Ravencrest, the ruler of the Hold. Helheim is another Stormheim dungeon where players board the cursed ship of the Vrykul damned where they must safeguard the ‘precious’ cargo aboard the vessel, where they will eventually confront the fallen Val’kyr Queen. 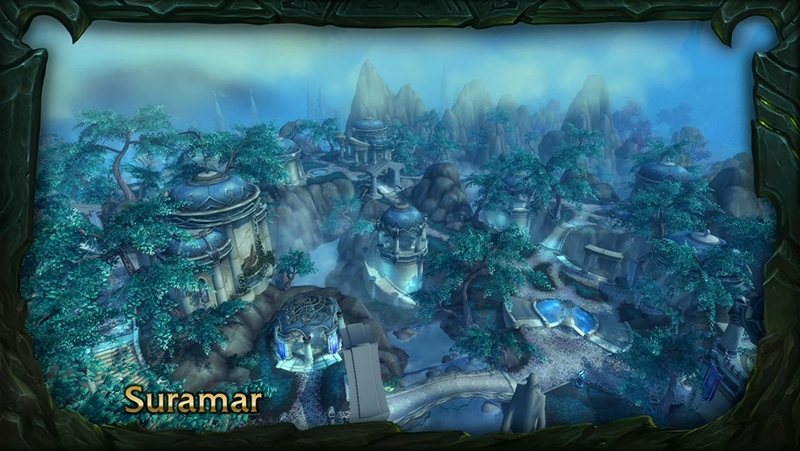 The two other dungeons are the Suramar Noble District and the Suramar Catacombs, with the District featuring ‘interesting gameplay’ “… that hasn’t been done before,” while completing both the District and Catacombs help players become attuned to the Suramar itself. Regarding Suramar, the city survived the Sundering and is still a supposedly ‘thriving’ metropolis. The cities’ survival is based upon the fact that the most powerful mages within the city used a well to conjure a massive shield, which both protected the city from instant annihilation and ensured its long-term destruction. This happens because the well that was used eventually corrupted the Highborne (ancient Night Elves) within, to the extent that they mutated into a new race called the Nightborne. Like the Blood Elves, the Nightborne eventually became so dependent on the now dubbed ‘Nightwell’ that they were corrupted and are now serving the Burning Legion. Going back to the end-game content, two raid zones will be released after Legion’s launch, The Emerald Nightmare and Suramar. The Emerald Nightmare is a 10-boss raid with three bosses shown thus far. The first boss revealed was the Pestilence Wrym, a former Green Dragon that has become its antithesis – death. The second boss is Cenarius, a demi-god who has been corrupted by the Emerald Nightmare. Blizzard mentioned that there is deliberate uncertainty over whether or not he will survive the raid. 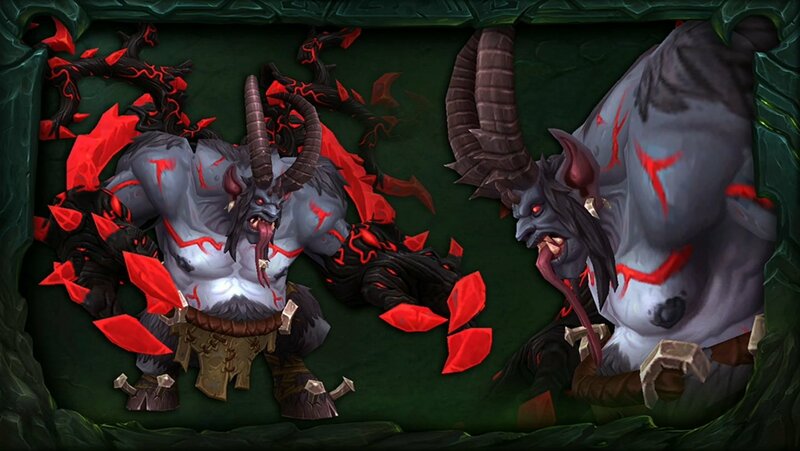 Last but not least is Xavius, a satyr on Azeroth that can transform into any shape or form that he desires in the distorted Emerald Dream. The second described raid is called the Suramar Palace, which is located where Gul’Dan’s ‘base’ is. Two bosses were shown, such as a Dreadlord Ambassador who is said to be one of the most powerful Dreadlords the Legion has to offer, and a Nightborne called Grand Magastrix, who supposedly is one of the ‘most powerful’ mages in all of Azeroth. This is literally just a summary of what happened at the Blizzard’s World of Warcraft: Legion panel. Come back in the future for our continuing coverage of the new expansion.